eight: don't you just want to go apple picking in this? I, like every other cliche blogger on the planet, absolutely love fall. Cooler temperature, college football, all my favorite TV shows coming back, apple pie...what's not to love (besides the impending doom of winter)?. 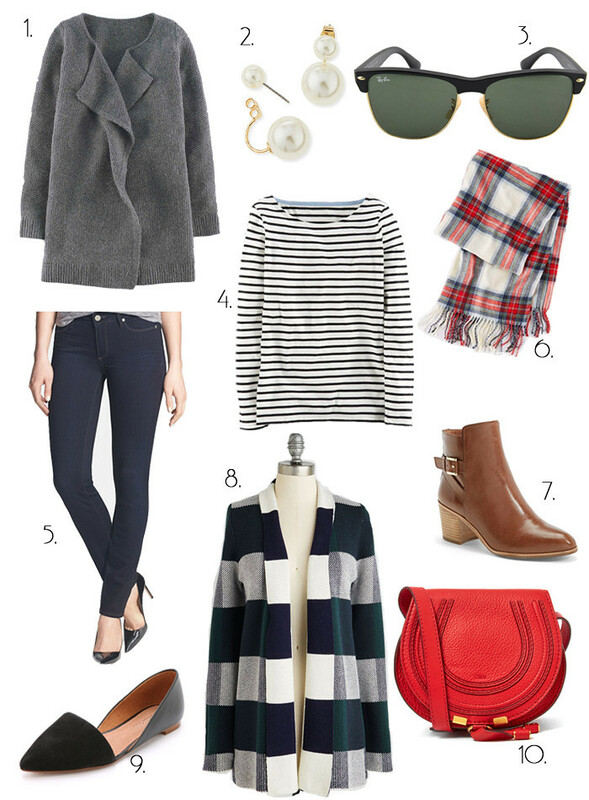 Having a shopping list always keeps me a bit in line when it comes to shopping, so above are some of the things I'm hoping to add to my closet this fall. At the top of my list is this open cardigan from Boden (which, PS, if you are looking to buy anything from Boden, Kimberly just posted an exclusive 20% off code on her blog!). My dream bag is the Chloe Marcie bag. It's very much out of my normal price range, but I've hoping to snag a used version on eBay some day. Isn't she beautiful?